A native of the Pacific Northwest, pianist Dave Peck is known for his introspective style and lush harmonic coloring. His award winning album projects (Trio, Solo, 3 and 1, Out of Seattle, Good Road and Modern Romance) are radio and critical favorites. 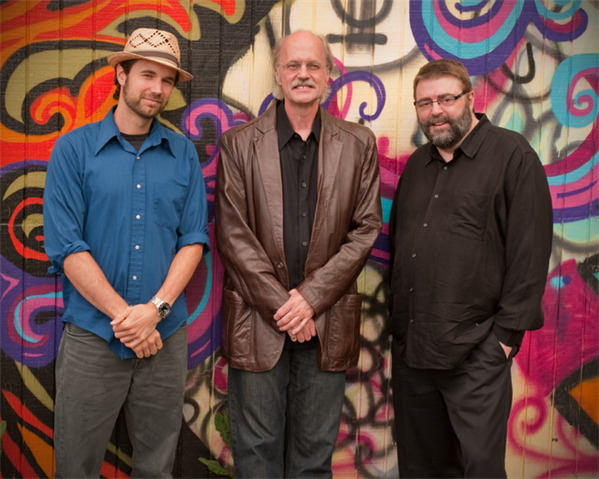 The Dave Peck Trio includes the brilliant Jeff Johnson on bass along with drummer, Eric Eagle. Both rhythmic and romantic, the trio uses the standard repertoire as a framework for new composition and form. Their work is rich, intuitive, and harmonically complex with a unique and signature sound. Born In Minneapolis, Jeff Johnson left at age 20, to join Philly Joe Jones and his band. Jeff has played with a veritable who's who of great jazz musicians such as Charlie Rouse, Billy Hart, Barney Kessell, Chet Baker, Lew Tabackin, Eddie Daniels, Joanne Brackeen, Julian Priester, Bob Moses, Kenny Drew Jr., George Cables, and Hal Galper. Jeff has released 4 CD’s as leader including Free and The Art of Falling. JazzTimes says in its review of Free “Bassist Johnson is admired for his work with modern mainstream musicians…”. And Cadence Magazine says “Still, it is Johnson who captures your attention without being obvious. His bass lines are clear and distinct. He plays with a mystique that takes the music out of the ordinary with his inventive improvised lines…”. Jeff is currently on the road: playing with and leading various small ensembles; composing; and recording. Eric Eagle was born in Nashville, but was quickly transplanted to Redmond, WA where he started banging on Tupperware containers at age 9, graduating to a real drum set two years later. He attended the prestigious jazz studies program at William Patterson College in New Jersey and has studied with Billy Hart, Rufus Reid, Bill Stewart and Steve Turre. Not interested in limiting himself to any one particular style but rather finding the common elements that exist in all his favorite music, he sought a wide range of musical outlets. He has performed and recorded with artists ranging from modern jazz musicians Tom Harrell, Wayne Horvitz and Kenny Kirkland to avant-garde artists Eyvind Kang and Aiko Shimada to songwriter/rock performers Jesse Sykes and Ray Davies. Eric also enjoys passing on his passion for music and drumming to others and has taught privately since 2002.